"Bluegrass harmonies, crisp as a mountain stream, meld with virtuosic picking and fiddling and the kind of honest acknowledgment of the tough realities of life that’s best found in traditional honky-tonk. 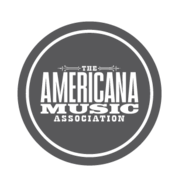 With Eat the Moon, FY5 brings us a self-assured vision of American music, rooted in tradition, but pointing to new creative directions that make it vital and relevant in today’s modern world." And be sure to snag your Four Corners tickets before they run out!